A wise king wrote about how we, as parents, can influence our sons and daughters toward a purposeful adulthood. Direct your children onto the right path, and when they are older, they will not leave it. I’m a planner by nature. I’ve had a seven-year plan for as long as I can remember, I also have a yearly plan, seasonal plan, monthly and weekly plan and a daily plan! But planning will not be the focus of these articles. Plans change and should be fluid throughout life. I learned to plan in college and remember one of my assignments before graduation was to formulate a ten-year plan. I was so proud of my plan that I posted it up on my bedroom wall as a decoration. Everything went along fine, according to the plan, for the first couple of months. After graduation, Susan and I both had jobs. We knew what our combined income and expenses would be for the next couple of years. We had a lovely suite that we were renting for a set price. As I said, it was all good and was running according to plan – that was until we found out that we were going to have our first baby! Talk about change! Susan quit her job when Kelly was born and we decided that she would be a stay-at-home mom for the next sixteen years. That was a wonderful decision for our two children, but it put a huge hole in my finely tuned ten-year plan! King Solomon wisely wrote as advice to his sons, We can make our plans, but the Lord determines our steps. A good place to start helping your teenagers find their life purpose is to help them write a life mission. I’ve seen Mission statements, which were five hundred words long, and I’ve seen them that were only two or three sentences. The Mission statement to which I’m referring should be along the line of Jesus’ model. Jesus’ Mission statement was first written by the prophet Isaiah about seven hundred years before He was even born, but Jesus picked up on it before He began His three and a half year ministry at thirty years of age. It goes like this: he has anointed me to bring Good News to the poor. He has sent me to proclaim that captives will be released, that the blind will see, that the oppressed will be set free, and that the time of the Lord’s favor has come. You’ll notice that in His Mission statement, Jesus recognized that He was anointed for the task ahead. That means that He understood that he had not arrived at the place in His life where he was by accident. He was on assignment from His King. I like that! Our children, like Jesus, you and I are not here by accident. They have been created by God at this time, were born into your family with the gifts, temperament, personality and abilities that they have by design. Although Jesus had a pretty good idea what He was there to do, His Mission statement had more to do with His call and general life purpose rather than his distinctive job description. He was going to announce that the kingdom of God was here, but didn’t say where, when, in what venue, to what audience or how. He was going to generally set people free from oppression, help them see life clearly and lift up those who had been stepped on by life. But He could have done that job while serving as a carpenter, policeman, politician, businessman or pastor. 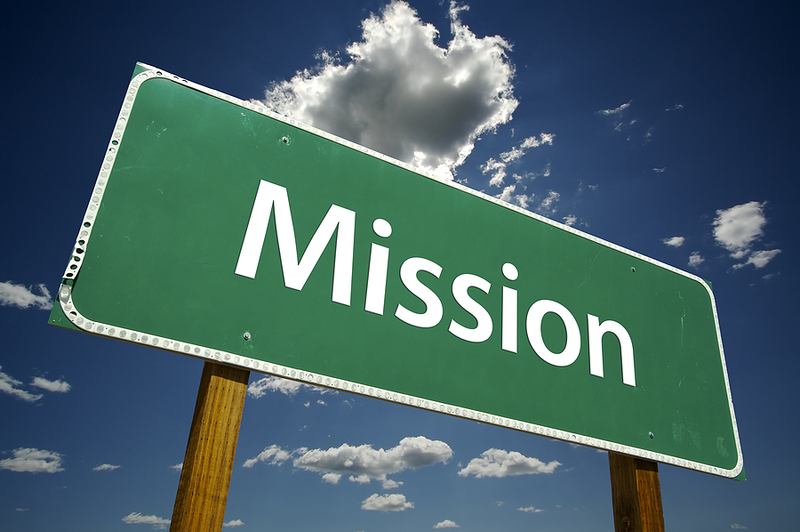 Our life mission can be fulfilled within the parameters of a wide variety of job descriptions. Next week I’ll write about values that set guardrails for our life path.